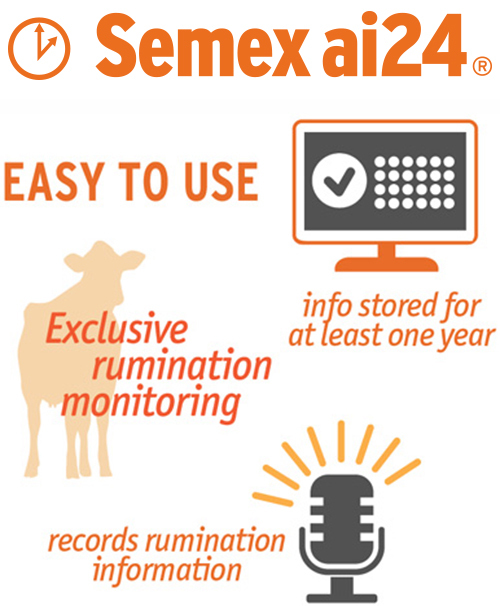 "We've used Semex ai24™ since the Autumn of 2013. The system finds 90% of the cows in heat. At first we thought that wasn't possible, but it's true. 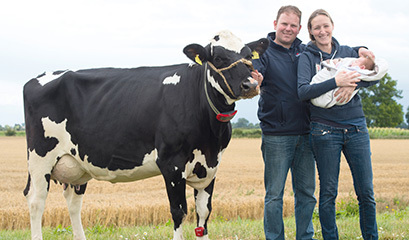 We get our cows pregnant faster, our expected calving interval is 30 days less and we use hardly any hormones. 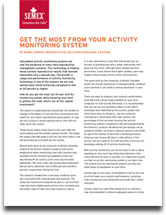 With the pedometer, activity is monitored and we receive attention alerts for any disorders at an early stage. Plus, I have more time for my family!" 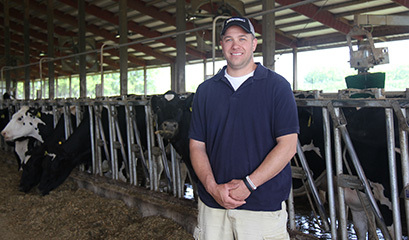 "I really consider Semex ai24™ to be a fulltime employee. 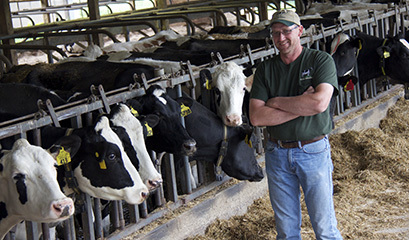 We've expanded from 350 to 500 cows since the installation and not added any people. The system helps our team make the best use of their time."